Rumors surrounding Samsung’s soon-to-be-announced flagship phone(s) are heating up, as you would expect in the weeks leading up to an unveiling. According to Bloomberg, who spoke with Samsung’s father’s brother’s nephew’s cousin’s former roommate “people with direct knowledge of the matter,” there will be two top-tier flagship devices on display at Samsung’s March 1 press event at MWC in Barcelona. One will more than likely be a traditional model known as the Galaxy S6, but a second phone will change things up completely with a multi-display setup. Bloomberg states that one of the Galaxy S6 models, which is rumored to be the Galaxy S Edge or Galaxy S6 Edge, will feature displays that cover three sides of the phone. They weren’t specific as to how the display will cover three sides, but a few ideas come to mind. First, the press invite for Samsung’s upcoming March 1 event shows a line or silhouette of a phone that matches up to the design of last year’s Galaxy Note Edge. In other words, “three sides” could mean slanted parts like we saw on the Note Edge. In fact, that’s the most likely scenario, which this report backs up by saying that the displays will cover the “front and both the left and right sides.” My other thought was that Samsung may find a way to wrap the display onto the back, similarly to what we have seen with phones like the Yota Phone 2, which gives you both front and back displays to use depending on your situation. I mention that because Bloomberg’s report specifically states that the regular version of the Galaxy S6 “will only have a front-facing display,” which one could to take to mean that their sources indicated that the three-sided phone could have a rear-facing display. Again, scenario 1 is the more than likely what we are getting. This report also claims that the phones will have all-metal bodies, use Samsung’s “most advanced processor chips,” and have 5.1-inch displays. The Galaxy Note Edge was not high on our lists of anything last year, because it came off as nothing more than an awkward gimmick. 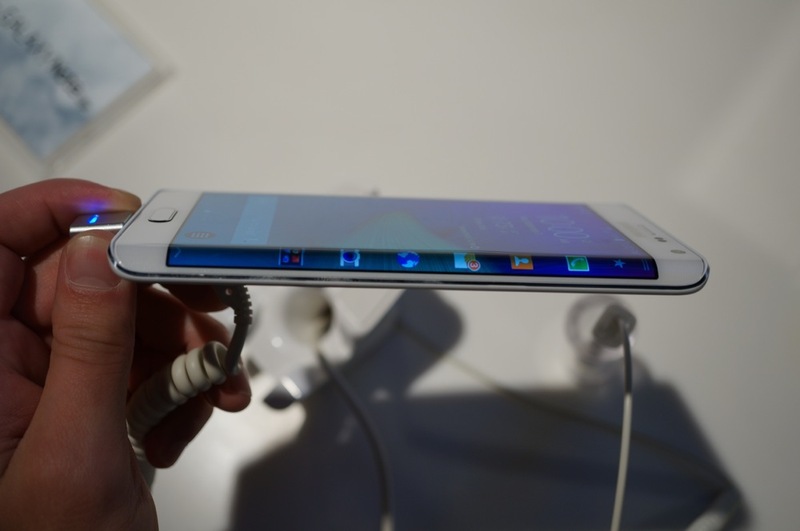 If Samsung can find real uses for bending phone edges, we are certainly interested in hearing about them. I hope, for everyone’s sake, they have figured some out if they are preparing to bet this heavily on the idea.